A patriot, by definition, is someone who supports his country so much that he is prepared to defend it against any enemies or detractors. However, this doesn't mean that celebrities should be banned from visiting the country just because they made some side comment about Manila being cockroach-infested (isn't it, though?) or because they made a meme of Pacquiao being pawed on by Simba (wasn't it funny, though?). Come on. Fun fact: I'm American by birth and citizenship, so my heart has that special soft spot reserved for it. Ask Gerd: I fell in love with these flats at first sight. I saw them during our World Balance store visit, decided I needed to have them, and have them I did. 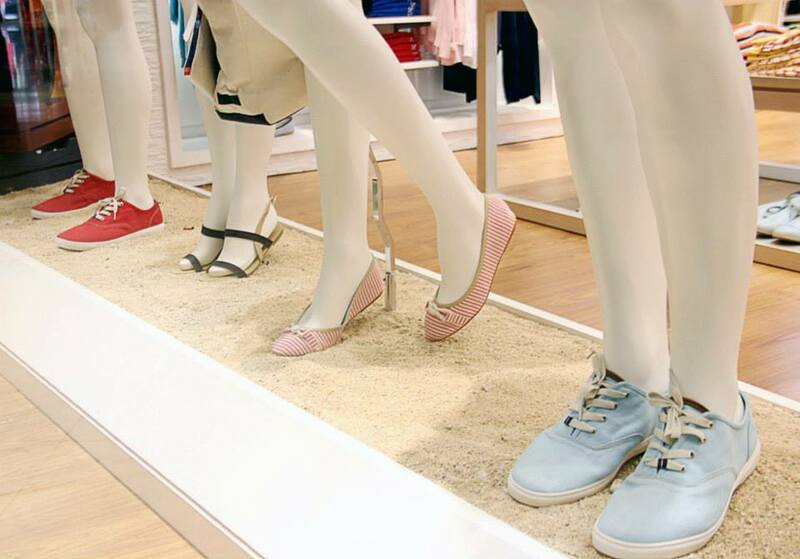 :) Call me out of the loop, but I had no idea that World Balance had such a wide range of shoe designs now. To say that I went absolutely gaga over them all would be an understatement. So... how patriotic are you? Thanks to Echo Channels and Reality Multimedia, I was able to catch an advanced screening of "Before Midnight" a few days ago - a movie that is much-awaited by true-blue fans of the series and which sadly isn't showing in the Philippines until the 10th of July. If you read my blogpost on my excitement for the film, then you should know that "Before Midnight" was slated to be my ultimate "Movie of the Year". I even headed to Greenbelt with a "J" wired ring for Jesse and an Eiffel Tower necklace for Celine. Fangirl to the max! Well, I am very happy to say that I definitely wasn't disappointed by the film. While I knew from the very first scene that things didn't pan out the way I wanted them to, I still loved that the wit and the real-ness of the characters were still very much intact. I think the wit is actually what makes the "Before" movies work every single time. Personally, I find myself getting so absorbed in their conversations that I feel like I'm actually a part of it, if even just as a laughing bystander. In fact, I get so absorbed in their conversations that I completely forget the people that I am with when I watch them. Yes, they're that good! I can't say much more about the movie because I'm afraid I'll spoil it completely if I start. 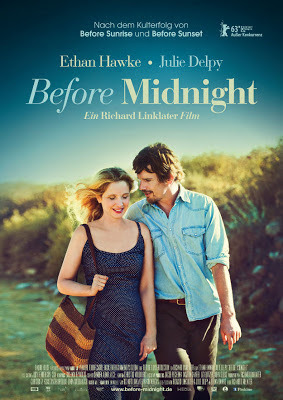 But, despite the sudden changes in the faces and bodies of Ethan Hawke and Julie Delpy in "Before Midnight" (these are two actors who, sadly, didn't age as awesomely as Russell Crowe and the like! ), I loved it just as much as I loved the first two. I didn't get the love-at-first-sight feeling that I got with "Before Sunrise", nor did I get the I-feel-you feeling that I got with "Before Sunset"; but it was still real. See, the longer I find myself in a relationship with another person, I realize how quickly the love-at-first-sight and the I-feel-you feelings fade. But "Before Midnight" made me realize that we always have a choice to let the fading of those feelings break us apart or to accept that those feelings are gone and still keep on keeping on as a couple. This is officially the end of the trilogy, and it is what has officially turned it into my second favorite trilogy after "Star Wars" (yes, it trumped "Toy Story"). So, even if you haven't watched the first two, you are sure to fall in love with the magic that is Jesse and Celine (and Richard Linklater) through "Before Midnight". Give it a go! You won't regret it! 4.5 stars out of 5. It's amazing how I can have the shittiest day in the world and the minute someone makes some random comment about how I look like I'm still in high school, my world turns around for the better. Ahhh. Age. Why does it matter so much to me? Decided to wear another unexpected-of-me outfit on my last SM Southmall date with the boyfie (thanks for taking my outfit shots, my love!) I love how my skirt was blowing in the wind during our shoot. Unexpected dramatic effects FTW! Ordered this floral connector ring-bracelet from Quirkypedia the minute it showed up on my Facebook newsfeed. I'm a sucker for unique things and this definitely caught my eye. So, despite me not being a girly girl, I knew I just had to have it. Pretty, noh? It's one thing to look young and actually be young, though. I miss the days when I could stay up partying until 5 in the morning and still have all the energy that I could possibly need to survive my 7am class. Looking back now, I really have no idea how I did it. Today, I need to drink at least three cups of caffeine just to function normally. Ah. I miss my youth. Freeway has made some amazing collaborations with national artists in the past, including Manansala and Levi Celerio. Well, this fall 2013, Freeway launches yet another National Artist Collector's Series along with Lucio San Pedro's Birth Centennial. Lucio San Pedro is yet another Filipino full of talent and ingenuity. A National Artist for Music, he is a great Filipino composer and teacher, most well-known for his lullaby "Sa Ugoy ng Duyan" and his poem "Lahing Kayumanggi". As you can see, the collection is composed of casual to work tops and dresses using fabrics like satin twills, poplins, knits and matte charmeuse. The unique cuts and styles are carefully crafted to flatte female figures without sacrificing comfort at the same time. The collection also combines floral inspirations with hand-drawn lines and curves fused with lyrics and titles of San Pedro's famous orchestra pieces. I am absolutely loving the basic black and white colors used for the collection because the colors are so classic that the clothes instantly become classic, too. Plus, they perfectly capture the mark and essence of every Filipina's modern beauty. 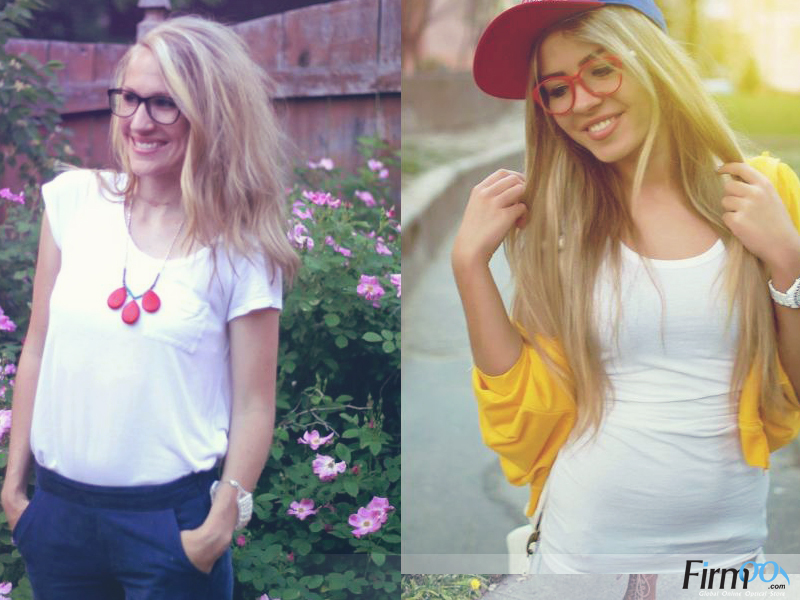 Enjoy the Heat with Firmoo Free Glasses in June! In some countries, summer has finally arrived. In our country, the heat never fails to show up unexpectedly amidst showers of rain. Regardless of where you might be, though; if you are excited to go to the beach, wear shorts, get tanned, get sweaty or go to music festivals, you will need a new pair of eyewear to don. Firmoo happens to be the perfect provider in this department. 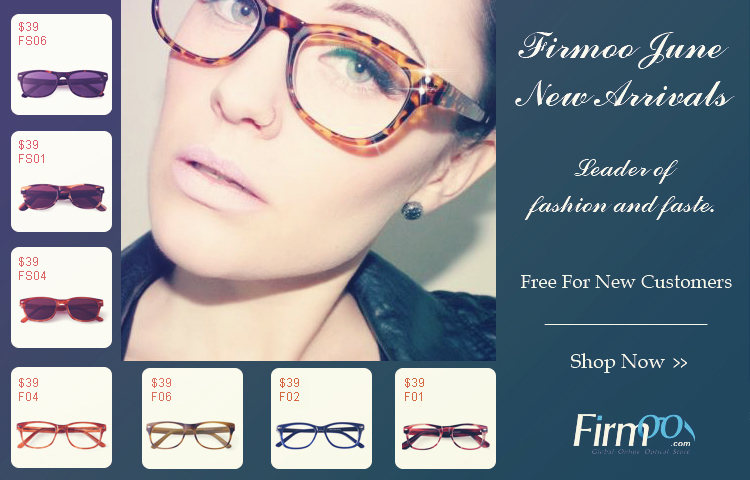 One great thing you can do is stop by Firmoo.com and pick up a free pair of glasses to create new moments with this month. New arrivals are part of the First-Pair-Free-Program at the moment, so why not get your FREE pair now? 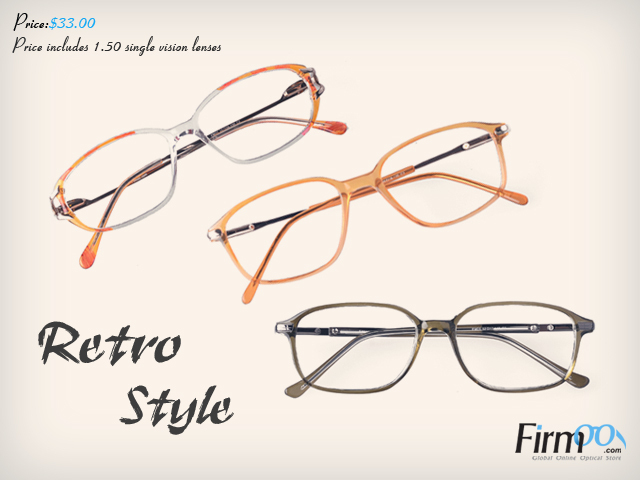 Retro glasses offer a quirky retro look, in general. 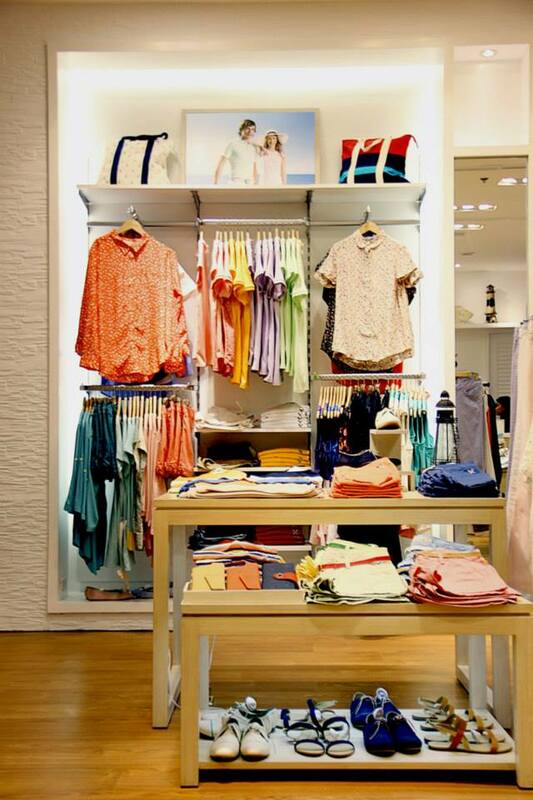 And, when matched with bold colors and a fashionable design, you can brighten up any of your days with them. 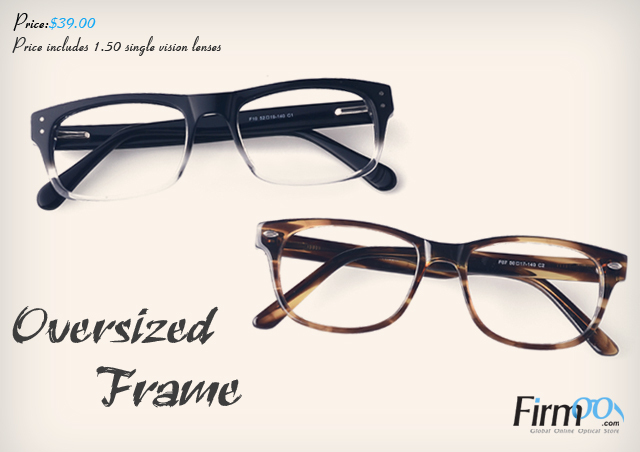 The rectangular lenses of these pairs are usually surrounded by thin and sleek rims, extending out to metal stems. 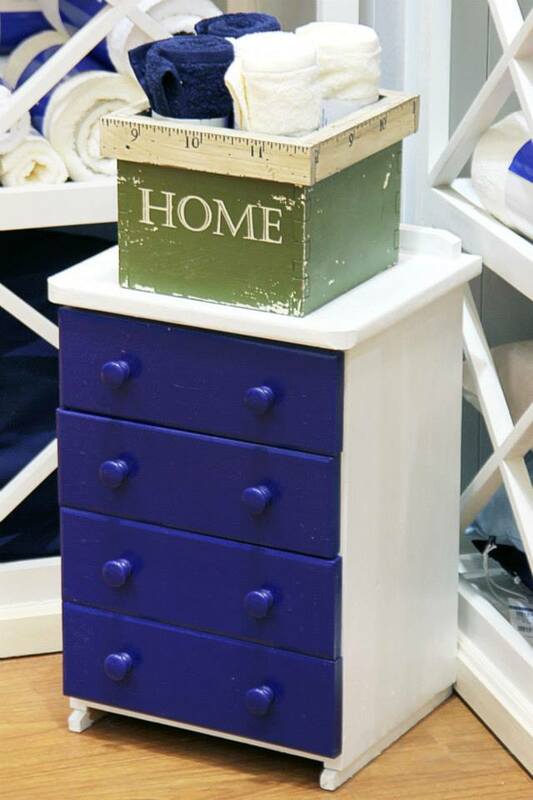 Spring hinges add extra comfort, as well. 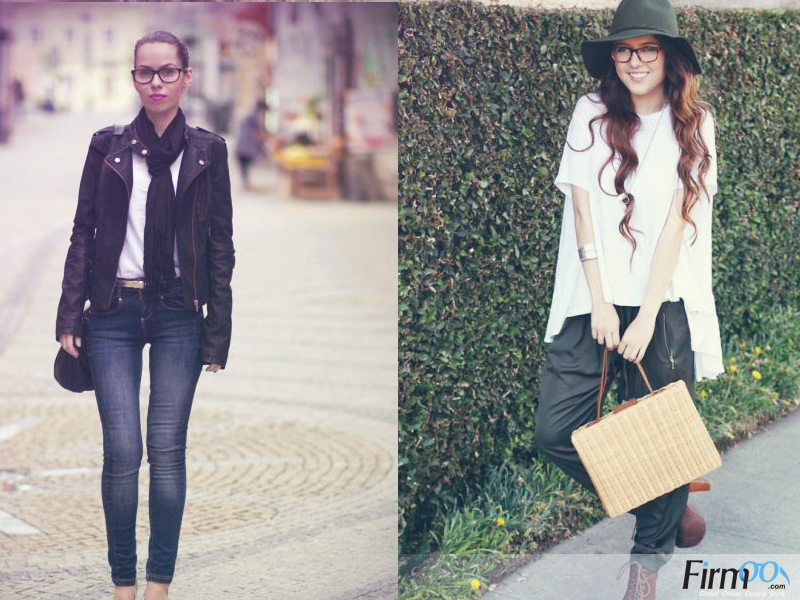 Find out your own and unique style today! 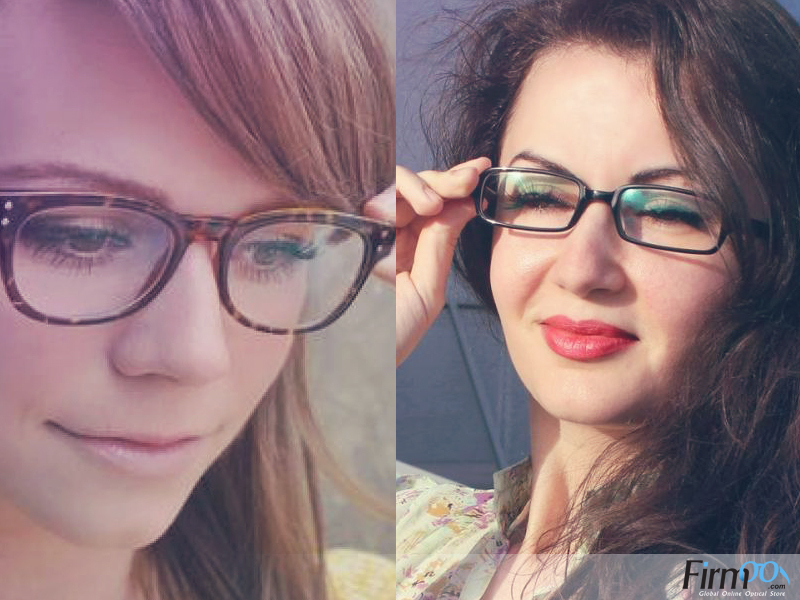 Be yourself and find a way to show your true self with oversized glasses! This type of eyewear with big conspicuous frames is so unique and attractive that you are sure to stand out from the crowd with it. Oversized glasses are generally a great choice if you want to be fashionable and show off your star quality at the same time, as well. 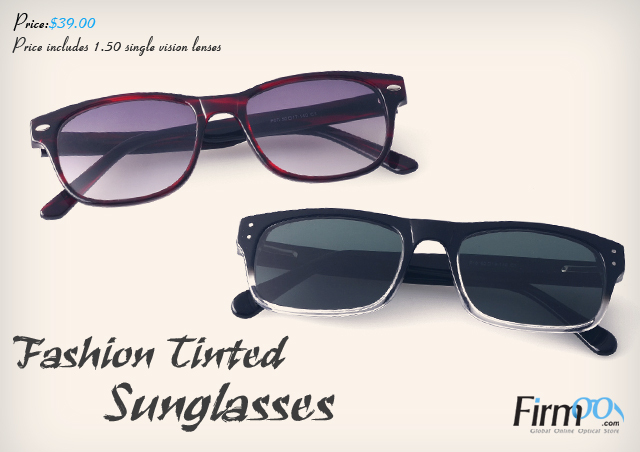 These retro-style sunglasses are somewhat different from traditional wraparound sunglasses. They have a traditional frame shape, but with sunglasses lenses, making you look more elegant and fashionable this season overall. The model photos above were all taken from Firmoo+. Such was the case when I showed up for our shoe-shopping (well, my shoe-shopping... he just watched me go nuts, really. :p) and coffee date at SM Southmall a couple of weeks ago. I ended up grabbing two new pairs of shoes that day and my daughter ended up with three. This just goes to show that the whole "women love shoes" thing transcends all ages. (She's 3!) Besides, our new shoes might change our lives. You never know. I mean, look at Cinderella! Oha! One of my favorite watches to date! 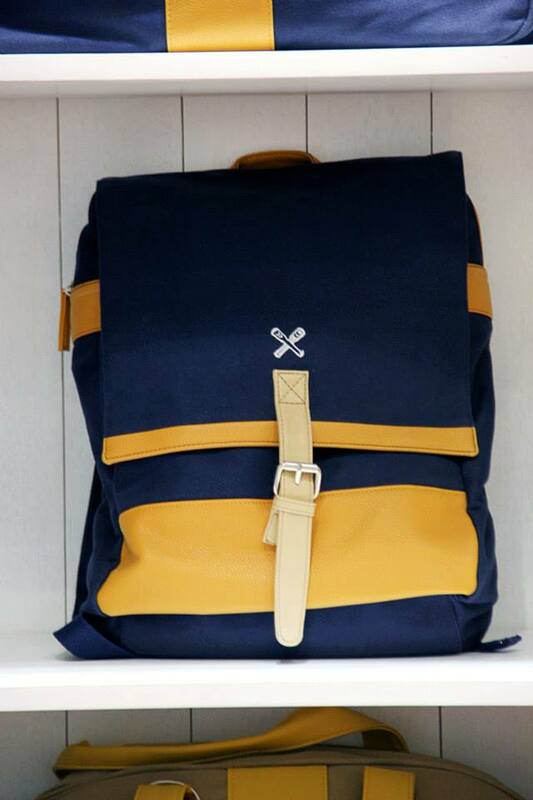 I simply love its classic color and how it goes with anything. :) The best part is that this watch comes in all types of colors, so you choose one according to your personal preferences. :) Find out ore about the Superdry Scuba Collection here. I've actually found myself veering more towards dresses lately. Maybe it's all the love in my life recently. #blessed Off to catch the "Before Midnight" premiere. Fingers crossed it's all I ever hoped it would be! 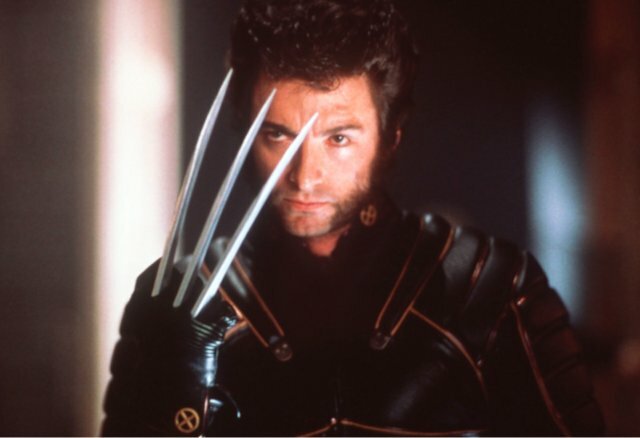 Are You Excited for "The Wolverine"? Now, I know that "X-Men Origins: Wolverine" wasn't exactly awesomesauce, but after watching the trailer for "The Wolverine", I can't help but turn into geeky mush inside. Naturally, the best part about this is the fact that Hugh Jackman has still agreed to take on the role and it hasn't been passed on to some loser who won't do it justice (let's face it: The Hulk has been miss-hit-hit so far, so the thought is scary!). After seeing Hugh (yes, we're on a first-name basis) so skinny and depressing in "Les Miserables" (last chance to join my "Les Miserables" DVD giveaway here! ), I can't wait to see him all sexified again. How sexified? Check out the movie poster below! Rawr! 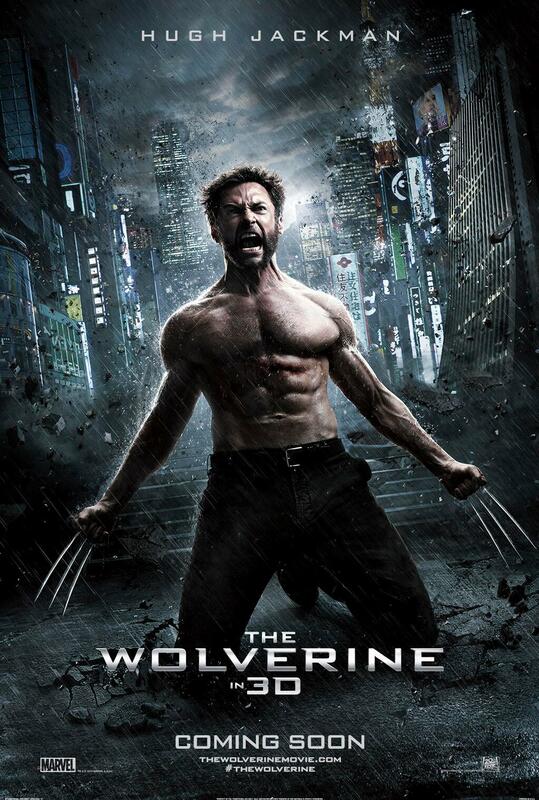 I can't wait for the premiere of "The Wolverine", which I will be watching, courtesy of PMCM Events Management. Wanna catch the premiere of "The Wolverine", too? Then get in touch with PMCM Events Management by liking them on Facebook. Do you remember how, in every episode of The Simpsons, you could see Bart Simpson in the beginning credits, standing at a blackboard and writing something over and over again as a form of punishment of something naughty he had done during the day? When I was little, teachers always believed that getting a student to write something over and over again would ingrain that sentence in their brains, so that they would, in fact, follow what they wrote for life. Or, for their student life, anyway. This post is a dedication to that ol' teacher's belief. Fat, I am going to make you disappear. Think this is gonna work? Spotted: Hezzy and Dave taking outfit shots behind me! I think the wink-and-foot-pop is becoming my new thing. But seriously... I am going to make you disappear, fat. And yes, this is a threat. Sometimes, I wish I could just grab a wand, collect my favorite memories in it, and save them in a pensieve for a rainy day like today. I'd prolly watch them over and over again - the day of this outfit shot included. I was so surprised when Gerd gave me this after our Zambales trip coz it was totes unexpected. He gave me a James Dean pillow on my birthday and a James Dean sketch, so I thought that was it for the presents. A few days later, he asked me to close my eyes and slipped this around my neck. My geeky self pretty much smothered him with kisses while jumping up and down. Lol. Best birthday gift ever! Nothing screams "me" more than this ring. Thanks to Save 22, you can now find out about all sorts of promotions and catalogues that you probably didn't even know about before actually hitting the malls. All you gotta do is visit the website, type in your store of choice and search away. Easy peasy! 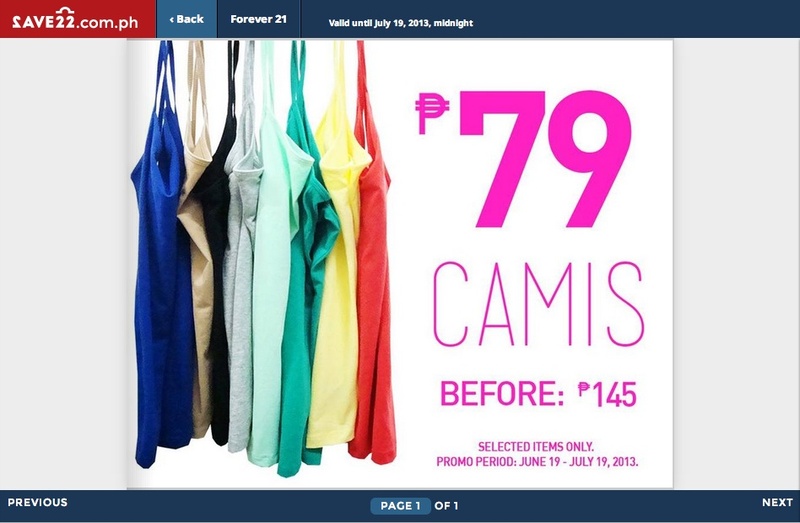 :) I'll defo be stocking up on those F21 camis myself! 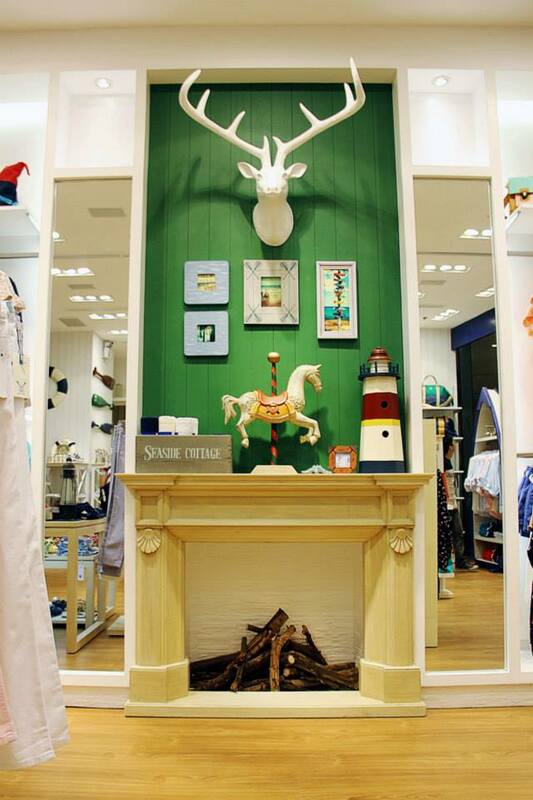 I'm Loving Regatta's New Nautical-Inspired Store! 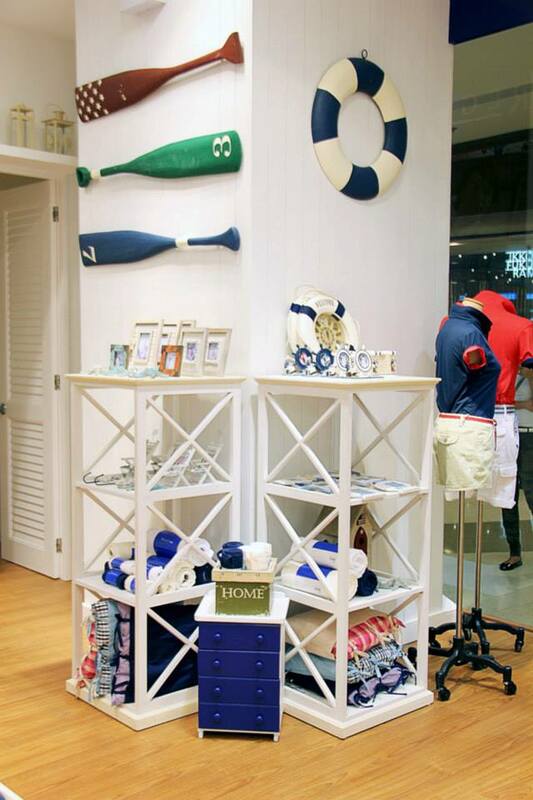 I have always loved Regatta and their relaxed nautical-inspired pieces because they are perfect for any kind of staycation or getaway. Well, they definitely took things up a notch with their latest store and collection. 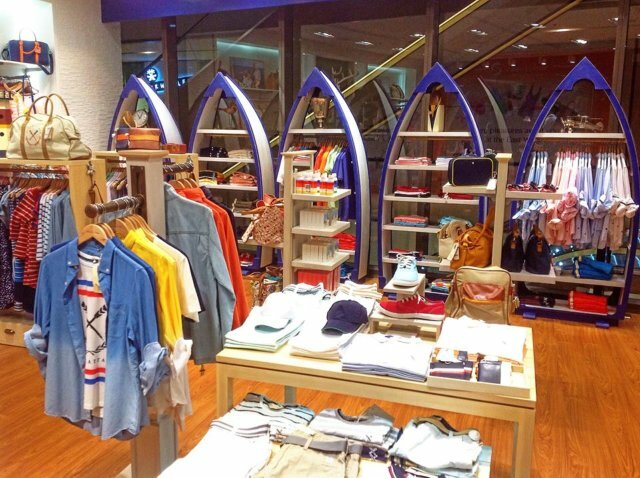 Yes, last month, Regatta invited me to the private launch of their new store at the Shangri-La Plaza East Wing... and I was floored! I definitely wasn't expecting that much detail in a store - that's for sure! The store is basically divided into two distinguishable yet both amazingly stunning areas: Sea & Coast, and Town & Country. 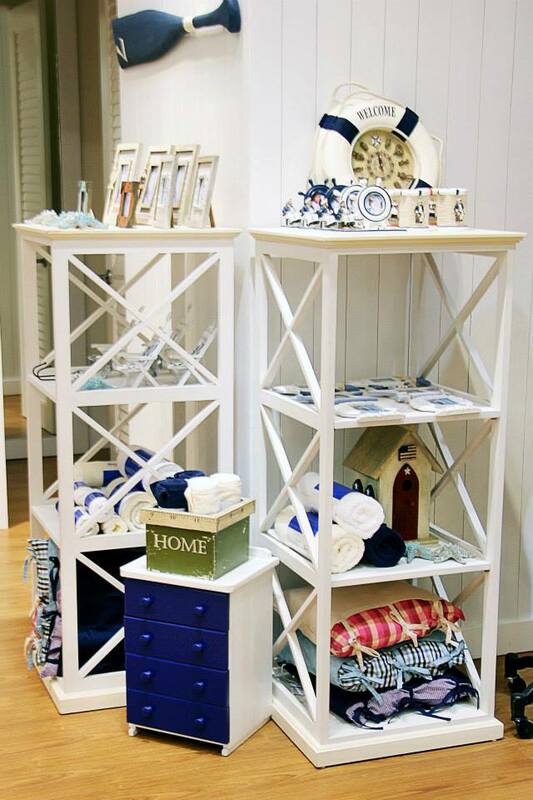 In the Sea & Coast area, you can find oars, lifesavers, wood plank walls and row boat modules that showcase Regatta's latest collection. In the Town & Country area, you can feel hints of walking through a country home with stone and brick walls and even a fireplace with a deer head mounted on it. Love love love! 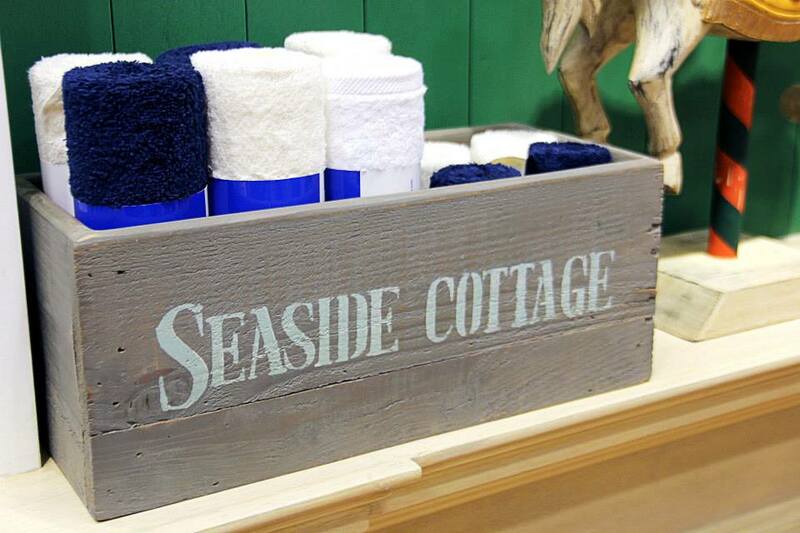 I also loved the many home products that could be found in the Regatta Shangri-La East boutique - items that every sea lover would drown to have! They have plush 2-in-1 Throw Pillows reminiscent of the ocean with checkered detail and in three cool colors: khaki, green and navy blue. 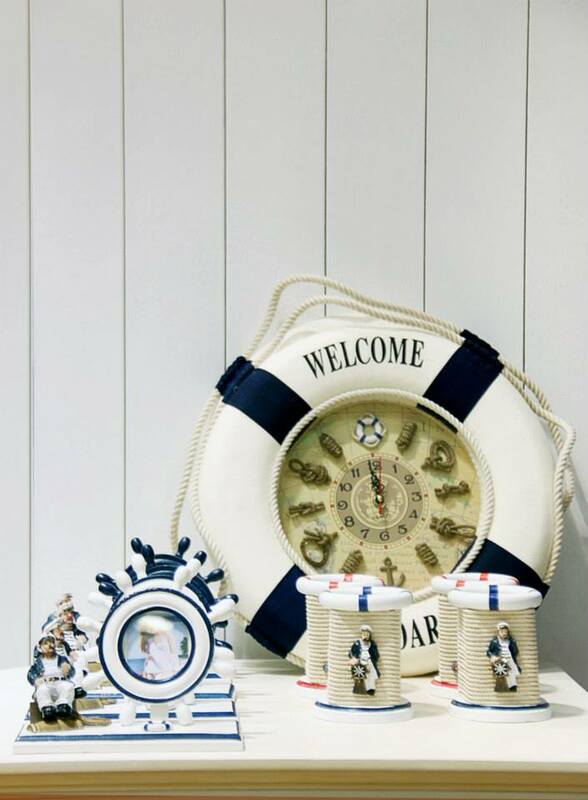 They also have cool trinkets, like wooden Nautical Hooks with shell details and ceramic Decorative Starfish. 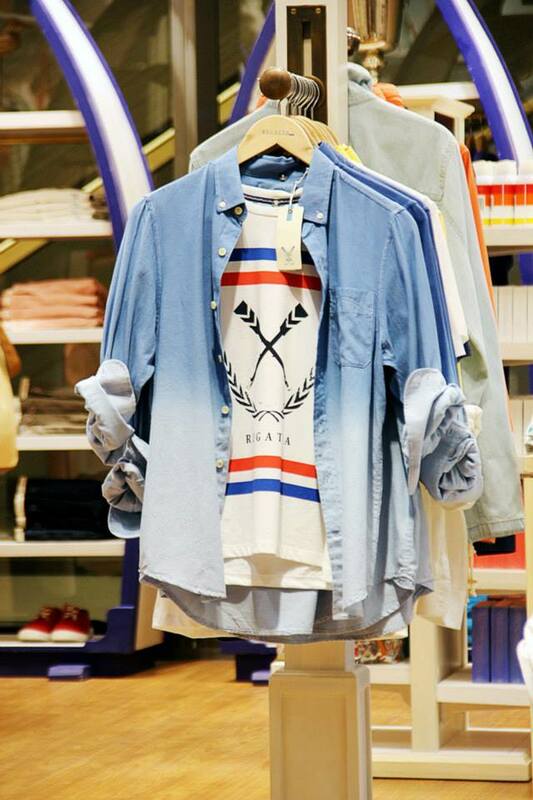 Aside from the new Regatta store opening, there is also a brand new collection that provides casual and classic pieces from t-shirts to shorts to bags. 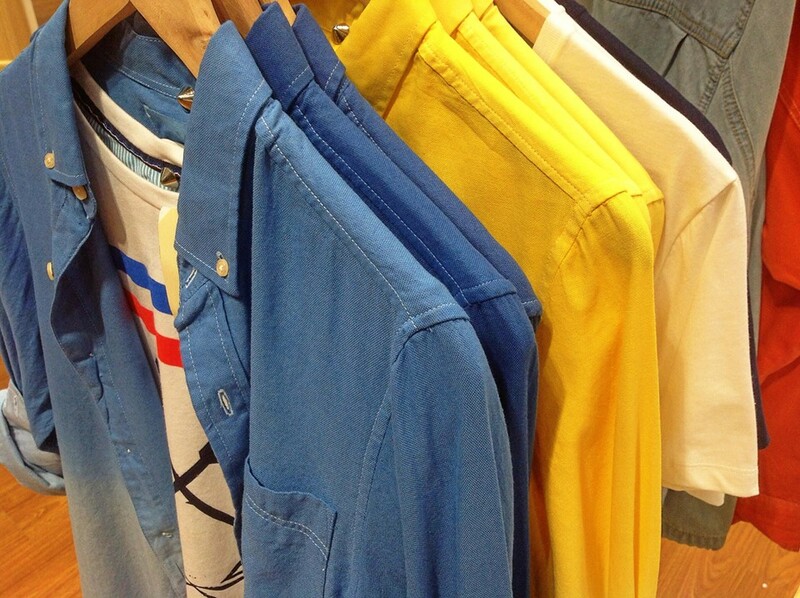 Men can work hard and play harder with woven ombre shirts, stripes and drawstring shorts. 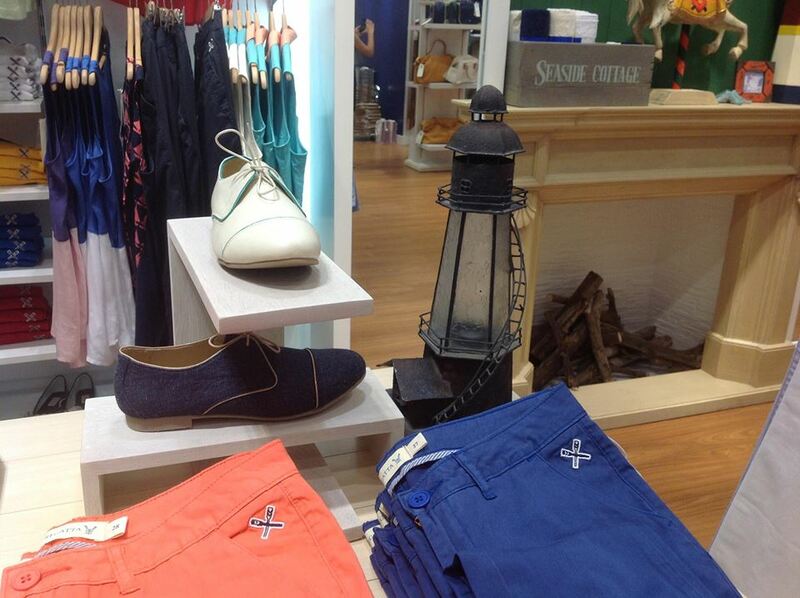 Despite their nautical peg, Regatta also has awesome layers available for the recent gloomy weather in our city. I absolutely adored the stylish sandals and plimsolls, as well, which look perfect for long walks or even for casual dates in a cafe - either with a friend or a loved one, or with a good book and a cup of coffee. Thanks to Regatta's new store and collection at the Shangri-La Plaza East Wing, outdoor leisure lifestyle can be experienced anytime, anywhere... even in the comforts of your own home! All photos in this blogpost were taken from their Facebook account. Check Out the New Superdry Scuba Collection! Meet the Very First My Veet Girl! Couple Shots: Patience, Young Skywalker.